nice trip. good location. 100m from the ferry to dwontown. good view. I can see the sea and harbor in my room. The room is very clean and spacious. The wash mashine is easy to use. I will come next time. Nice location. Spa in the bush. Large bathroom. Close to supermarket and good swimming beach. The staff did their best to help as much as they could, even for a business emergency after hours of reception, they came down for urgent printing and scanning. the food in the restaurant was very good , but because braught from downsqtairs , was a little cold served the coffee was good. spacious room and appliances (dishwasher, washing machine , microwave,... worked. Breakfast was great value. Receptionist was lovely and the place was very quite. View, view, view and view! 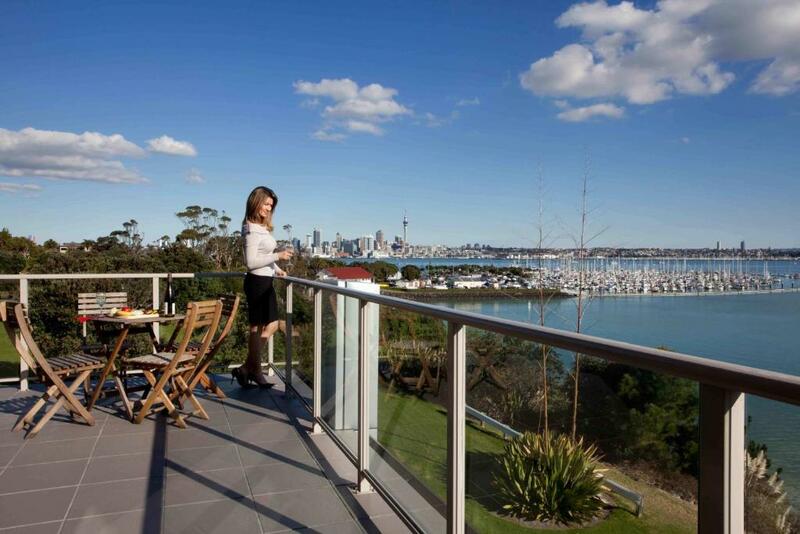 The best Auckland view possible - from room, restaurant and from outside. Nice connection to town center via ferry. Quiet location. Friendly helpful staff, great city views, good meals, good value for money. Easy walk to ferry to the city. The view was nice out to the harbor bridge. The room was clean and tidy. The washer and dryer in the room was the only thing that was convenient. Great view. Excellent dinner with view of Auckland. 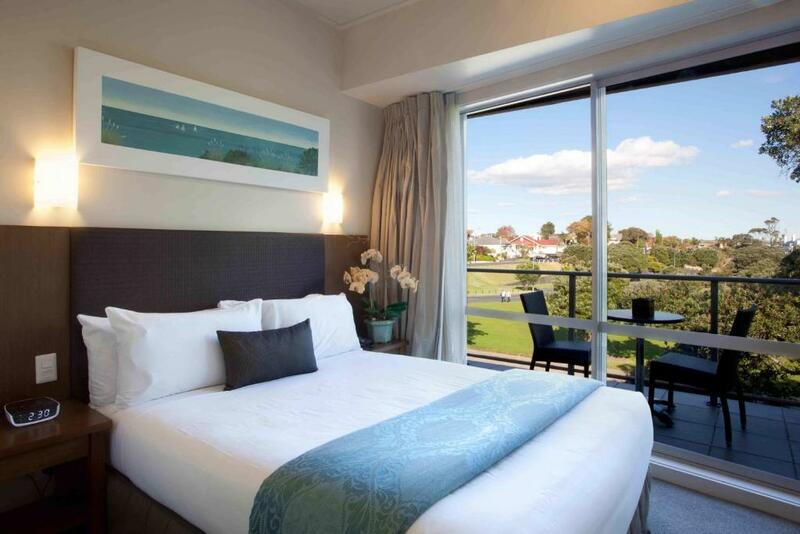 Lock in a great price for VR Takapuna – rated 8.1 by recent guests! 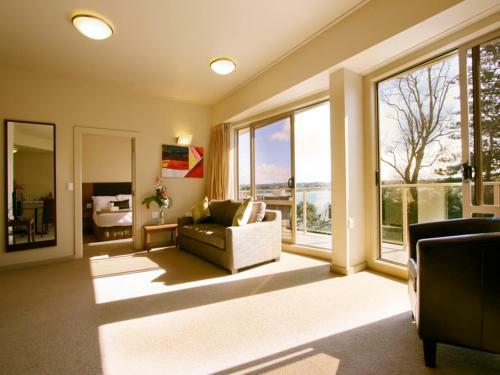 VR Takapuna This rating is a reflection of how the property compares to the industry standard when it comes to price, facilities and services available. It's based on a self-evaluation by the property. Use this rating to help choose your stay! 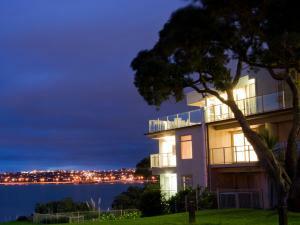 One of our top picks in Auckland.Just a 10 minute ferry ride from Auckland city center, VR Takapuna offers luxury self-catering apartments. Guests enjoy free secure car parking and free WiFi access. 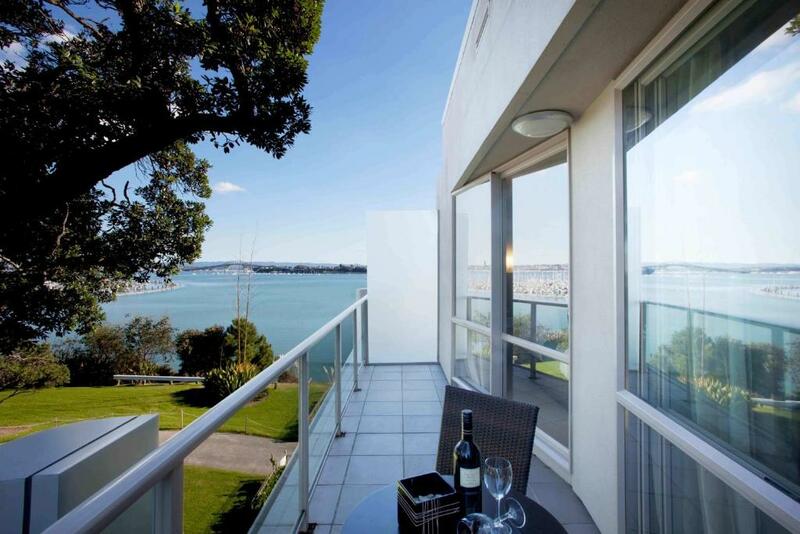 Guests at VR Takapuna have access to a fully equipped fitness center and the Sunset Lounge Bar and Restaurant, overlooking Auckland's skyline. All apartments offer an LCD TV with cable channels and a DVD player. Most feature a balcony and large windows with harbor views. When would you like to stay at VR Takapuna? 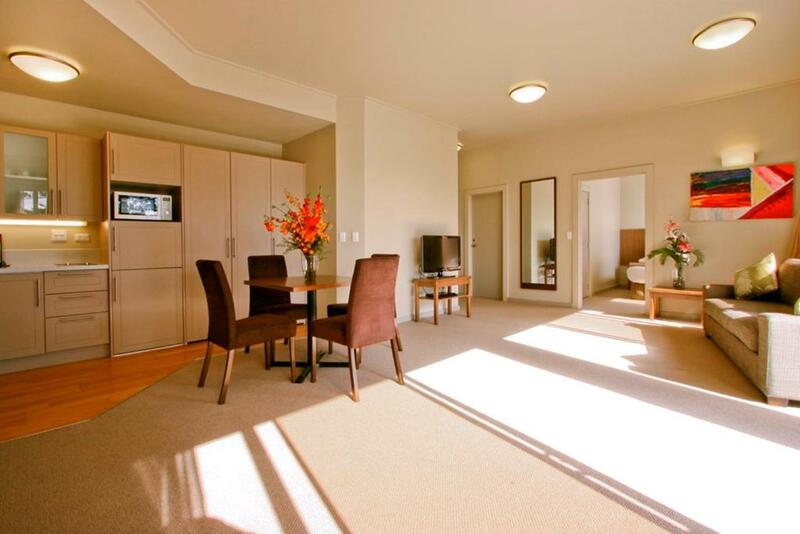 This apartment features a spacious living area, a separate bedroom and a full kitchen. 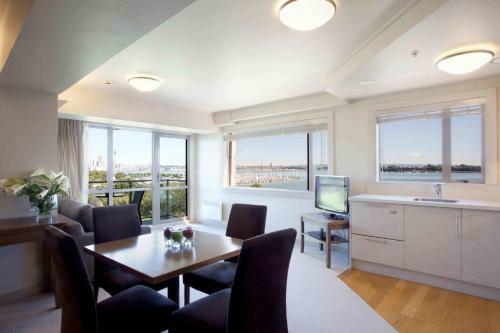 This apartment features a full kitchen, laundry facilities, work desk and stunning harbor views. Please note that Harbour View apartments facing Auckland City are subject to availability. This open-plan apartment looks directly over Auckland Harbour. This large apartment has 2 bedrooms, a private bathroom and a guest toilet. VR is the market leader in New Zealand with 1000 + rooms and growing. A company based in Auckland, New Zealand – VR reflects a contemporary lifestyle at unbeatable value. VR is an industry leader in New Zealand by providing value added benefits that SHOULD be an industry norm. Examples include Complimentary Unlimited Wi-Fi, Breakfast, Ferry Tickets and many other benefits that are passed on to our loyal customers without those expensive + + costs. Every aspect of the VR brand reflects a contemporary lifestyle: the guest rooms are stylish and comfortable, VR people are friendly and upbeat, and VR pricing represents great value for money. A new concept for the New Zealand market, VR Hotels are driven by customer taste, customer style, customer wants and wishes. It’s all about giving people the freedom to choose, create and inhabit their own personal VR. 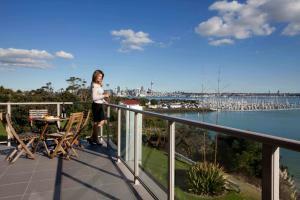 VR Takapuna is located in the quiet residential neighborhood of Bayswater. 10 minute walk to the Ferry terminal leading to Downtown Auckland. House Rules VR Takapuna takes special requests – add in the next step! VR Takapuna accepts these cards and reserves the right to temporarily hold an amount prior to arrival. If you arrive outside reception opening hours, please use the phone on the right side of the main entrance to provide your name and details to the operator, who will open the main door for you. Please pick up your room key which is placed in an envelope with your room number and instructions on the reception desk. If you have any issues, please call the number provided on the reception counter next to the phone. Please note that there is a nonrefundable 2.5% charge when you pay with a credit card. Please be aware that full payment for your stay will be required upon your arrival. For further information contact the property using the contact details found on the booking confirmation. Noticed that the grounds surrounding the hotel were not well maintained, leaving bricks lying around in the Carpark, hazardous to cars. General untidyness was unpleasant to see. Checked in two rooms for differing families members, a group of five and a group of two. We the group of five arrived late and regrettably were given the bedding configuration for two, The family of two were given bedding for five. Not wanting to move the family of two we slept on the bedding, chairs. lounges available to sleep that night. The beds were comfortable for the right amount of users. The washing machine ruined my clothing although I was pleased that the staff didn’t charge me for the late check out so I felt compensated. The breakfast selection was poor - I am gluten free sonwhen I asked the staff they came to my door with almond milk toast and weetbix which was lovely. Staff were totally disinterested and disengaged. I've never experienced reception staff so lacking in personality or interest in their guests. Breakfast was appalling. Barman upstairs was very pleasant. No shops within walking distance. The views from the restaurant were beautiful and it was really handy that there was a washer/dryer in the room. The WiFi was excellent and the room was cleaned everyday. The Ferry to downtown Auckland was a five minute walk away. Breakfast was adequate (continental),but very plain presentation,lacking wow! The mattress was super springy. People stay in hotels generally to sleep. The least a hotel could do is invest in decent beds. The showers desperately need a door and a shower dome. The fan is inadequate and everything steams up with condensation. The breakfast was disappointing on our first morning. The croissants were dry and the pastry was tasteless. The meat tasted like luncheon. Our couch was extremely stained. I avoided sitting on it. The rooms were spacious and the kitchens were lovely to use. We appreciate the aircon in the rooms. 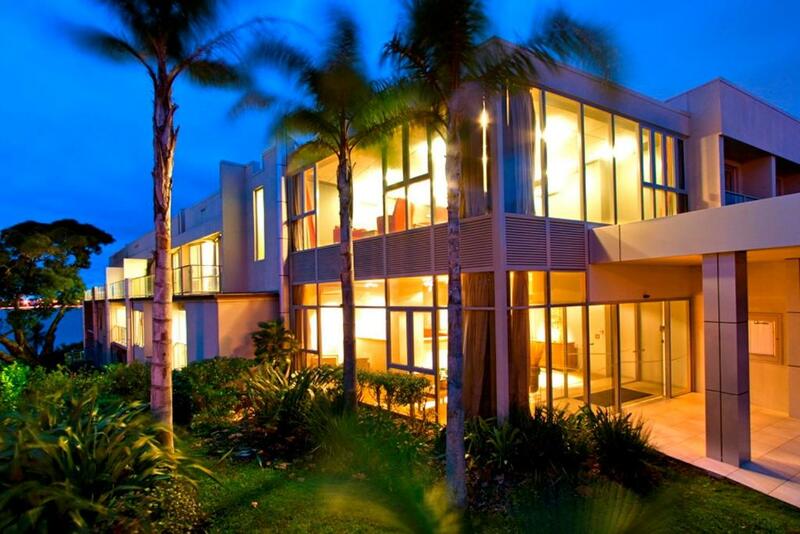 The location is ideal and the views are exceptional. Outside flood lights shining on bedroom window as we were at the front of the hotel. The room was clean, spacious and quiet. Lovely setting. No major negatives at all they really did their best to accommodate us and we were travelling with a 14 month old. Amazing views, great facilities and space. Really enjoyed our stay. The dinner! The breakfast! The views! The comfort! The warmth! The staff! All 100% !!! Beautiful beautiful food at their own restaurant! With beautiful beautiful views. And the breakfast was amazing too! So many things we could have to to eat and choose from. All in front of us on tables. We could have as much as we liked. What a huge treat!!! The Hotel was so so quite in our rooms. Everyone was so pleasant. The views were breath taking. I am going back again next month with my husband then back again with a friend soon. Would be my first choice in Auckland. I hope to go here for treats more often. Special occasions. Easy parking and plenty of parking spaces. Felt so so spoilt with every everything!! Toilet was broken and would not stop the water running once flushed. I ate at the restaurant in house and the order was taken incorrectly. I waited 45 minutes for meal to come once the correct order was placed. Very poor choice of tea and coffee available and they looked like they had been thrown into the container. The biscuit for sale in a basket on the bench had a tacky sign showing price. Curtains unhooked from rail and hanging off window rail I had to leave and return to Christchurch a day earlier than expected and I could not get a refund on my stage. I always book through booking.com for work and if there has been a change in nights staying facilities have been very accommodating. Initially we called to check the rate and was told it had to be online payment with an agency. We turned up and a different staff member told us that was not the case and we could have paid a lower rate. No offer to change or to upgrade etc. Carpets badly stained in hallways. Walls thin. Did not eat breakfast. Would have been good to have some milk in fridge as tea and coffee sachets provided but no milk. Breakfast was great. Location excellent. Free ferry ticket into Auckland city which helped when my taxi never showed up in the morning. Very nice view from the restaurant. Staff were helpful.